BBQ, chicken, and pizza makes for an amazing combo! When you compare the nutrient information of this LunchBox recipe to a regular pizza, you'll see why making your own pizza is often the way to go. Yes, you can eat the whole pizza! Yes! You can absolutely make things like this that won't break the calorie bank! It's all in how you choose the ingredients! We'll show you exactly how to do it. The pumpkin, the icing, the sprinkles... All I can say is WOW! You must try this one. We've got you covered with good sides! 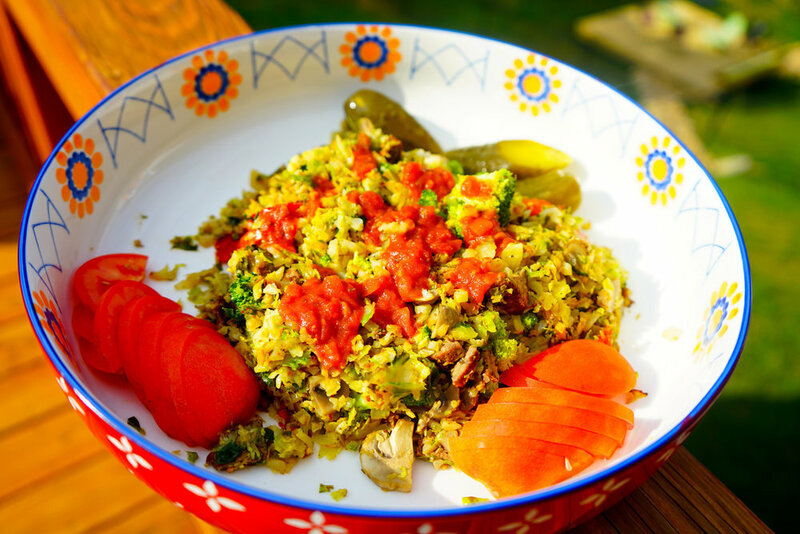 This one is full of brussels, riced cauliflower, bell peppers, broccoli, and mushrooms which means plenty of fiber! You can add or takeaway any veggies you like. Goes great as a side for grilled chicken and steak! This is so easy to make and it will last you all week! It's loaded with protein and veggies so you're sure to get your day started right. The spicy part is optional. Just leave out the jalapeños... or leave them if you like a little heat! Gotta try this! There are recipes for breakfast, lunch, dinner, snacks, desserts, sauces, and more!